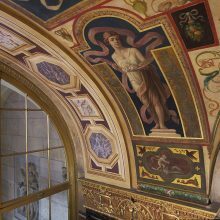 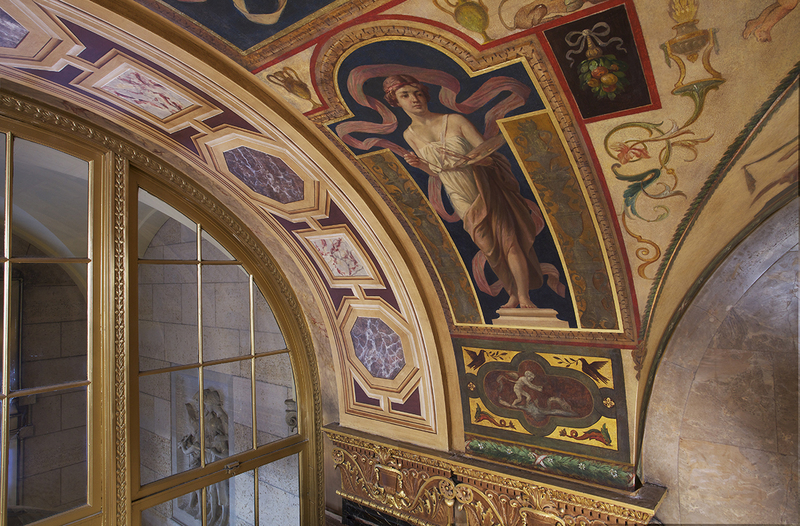 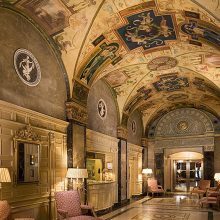 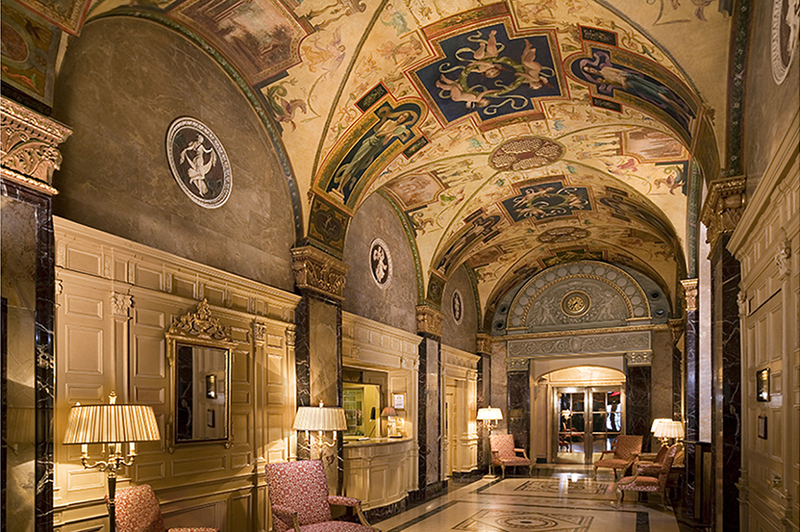 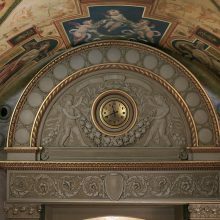 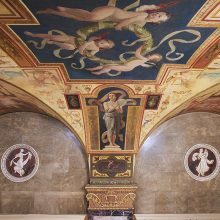 The ceiling mural in the lobby of the Sherry-Netherland is based on Raphael’s frescoes in Cardinal Bibbiena’s Loggetta at the Vatican Palace in Rome. 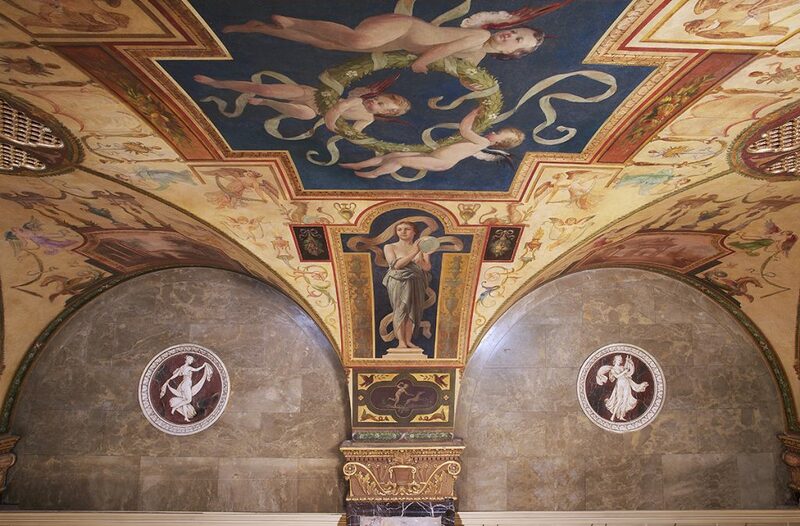 The style was popularized during the Renaissance and the Neo-Classical period and was beautifully recreated in the 1920s by artist Joseph Aruta. 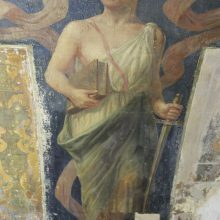 In 2013, EverGreene conducted an investigative study. 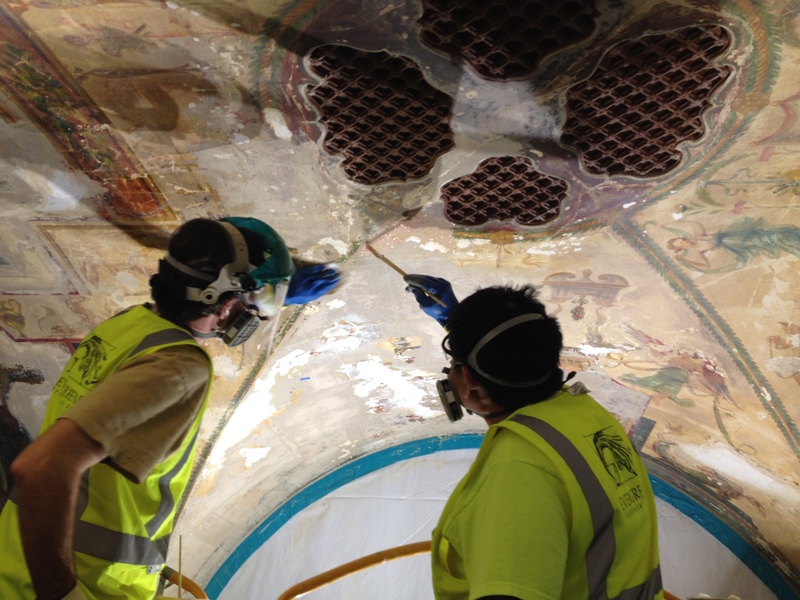 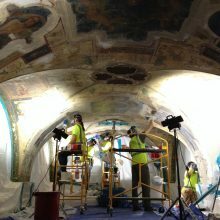 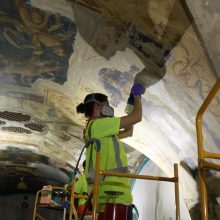 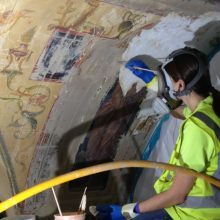 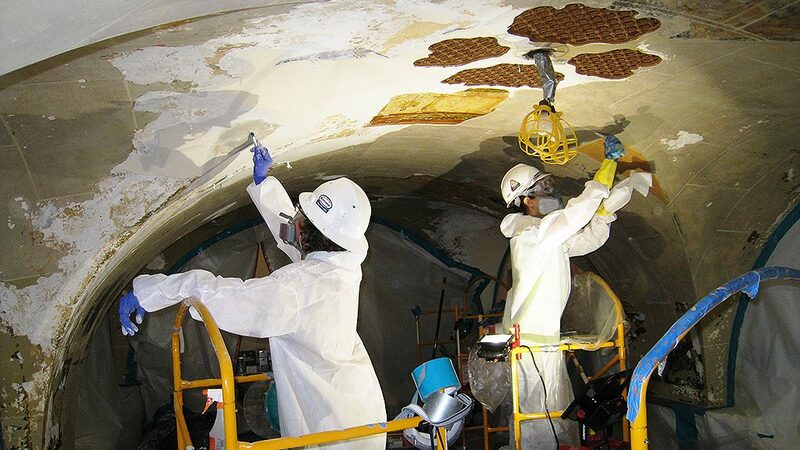 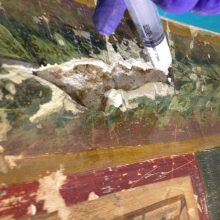 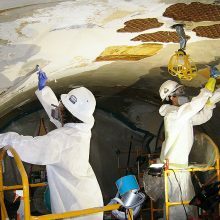 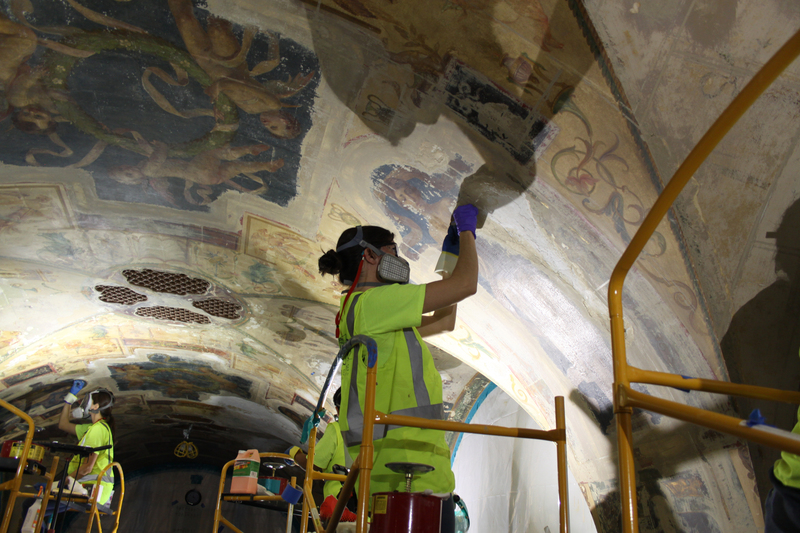 Utilizing both chemical and mechanical means, conservators removed several small squares of overpaint to reveal the surprisingly intact murals underneath. 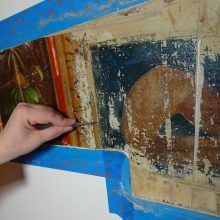 Conservators then tested methods and techniques to develop our plan for conserving the murals. 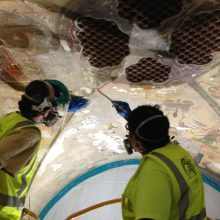 The process of exposure revealed that under the current white layers of paint the mural was covered with two separate layers of faux decorative ashlar stone patterns. 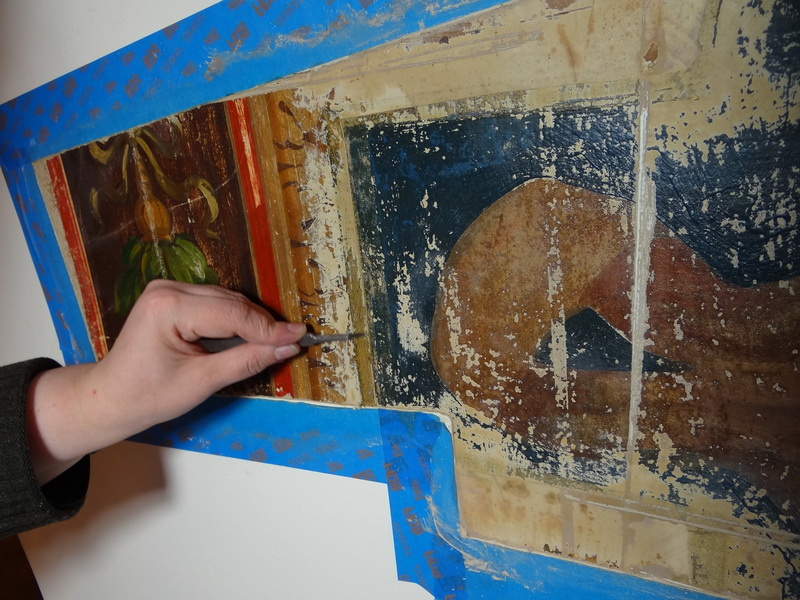 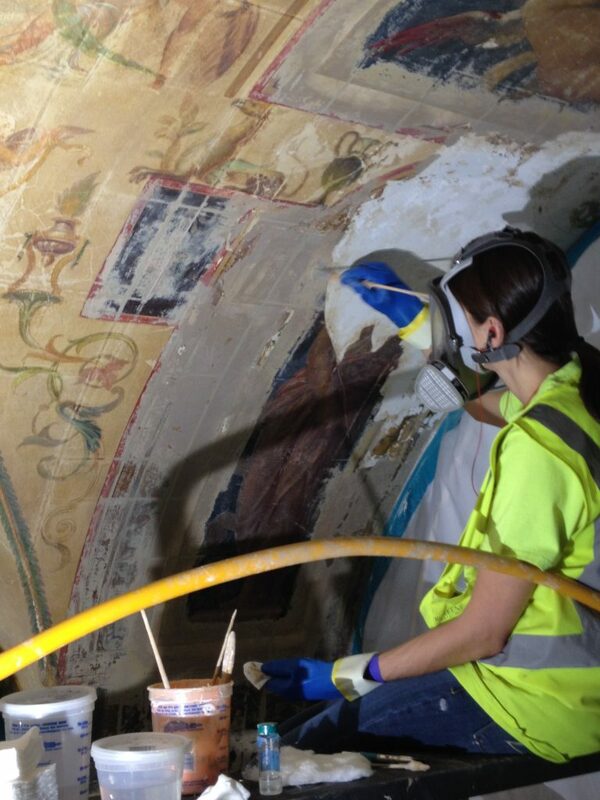 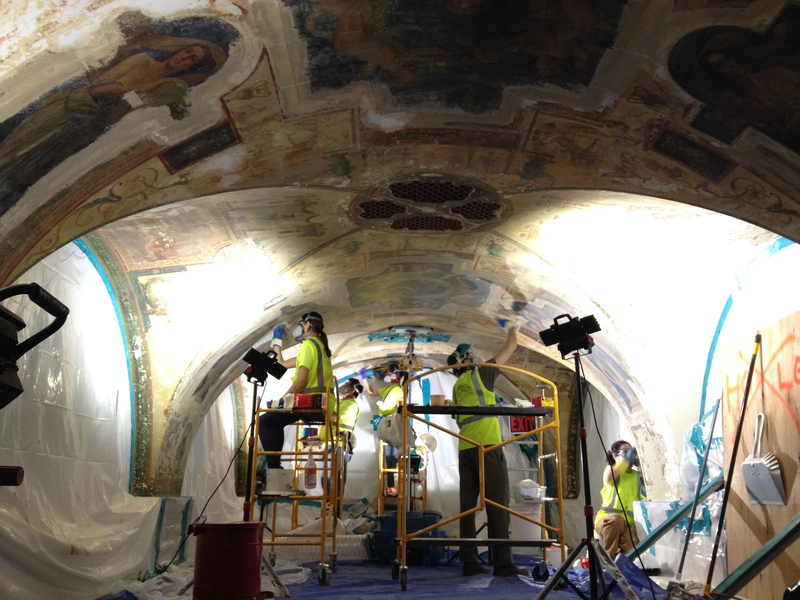 Conservators removed the outer layers of skimcoat and overpaint using mechanical methods, solvent gels and strippers. 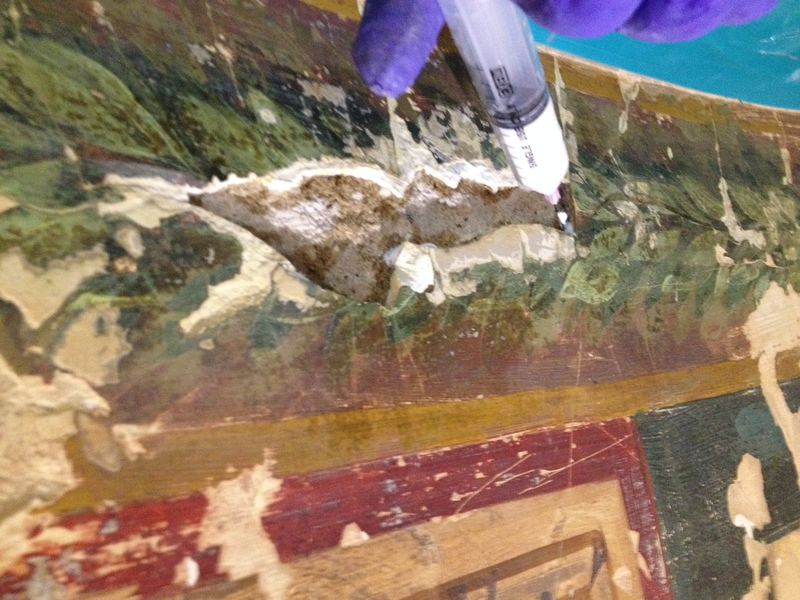 The final layers of post-historic paint were delicately removed with solvent and swabs. 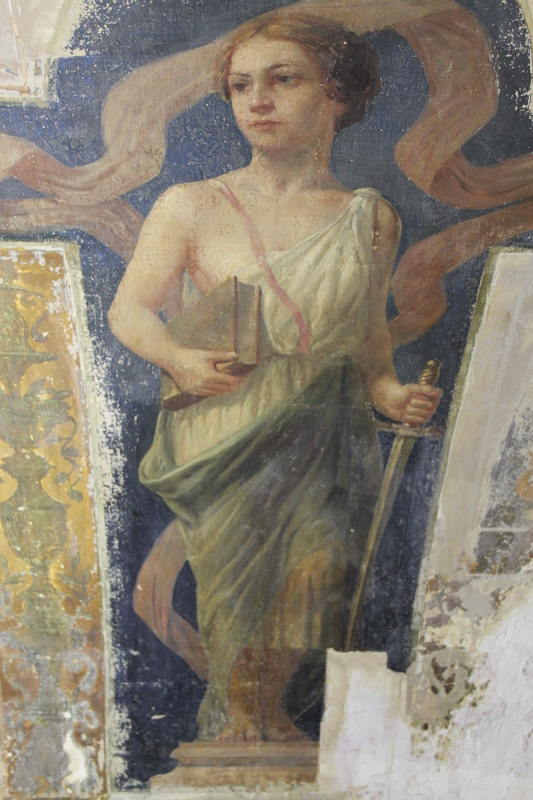 Approximately 30% of the original mural was recreated based on historic photographs. 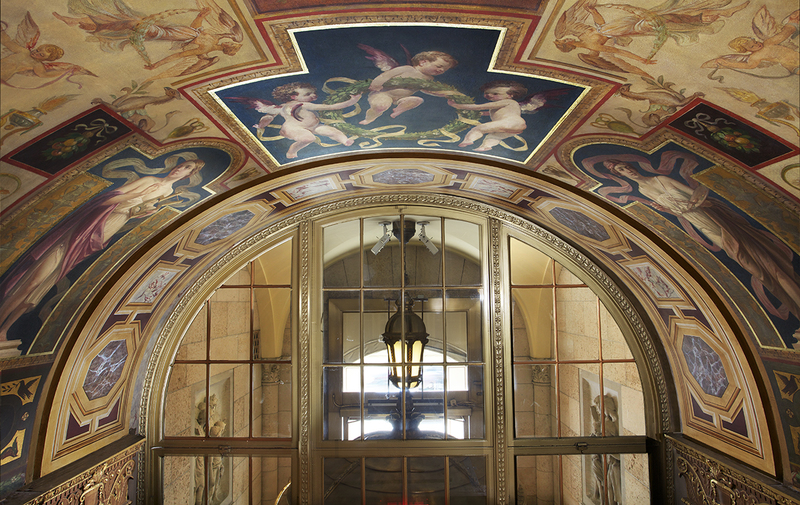 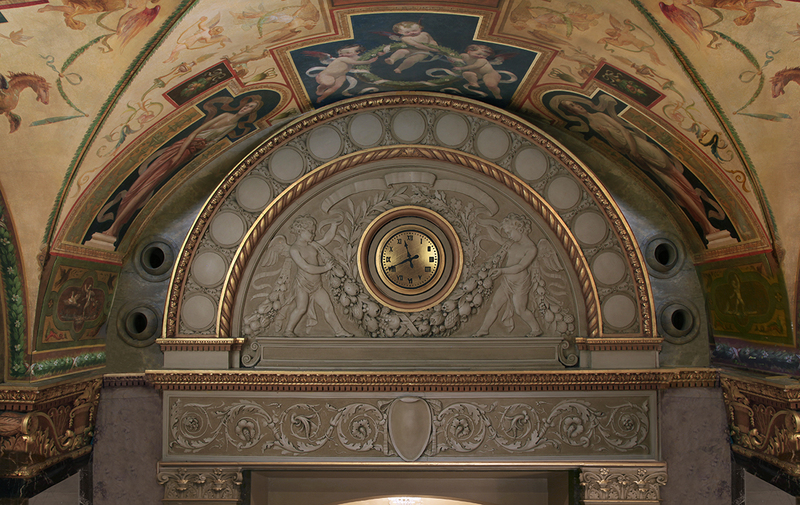 In all, more than 4,000 person-hours were required to restore the ceiling lobby to its original opulence. 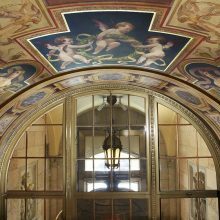 Despite the scaffolding, the lobby remained open fully operational throughout the entire project.